Login or Signup to comment on Joe Latino's video. Dope submission! Loved the scratches! Good submission but the video has a lot of room noise so it sounds a bit muffled. 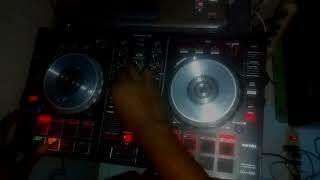 Next time try to record with a line into the cellphone or use video from the phone and audio from the mixer. Cheers. Yes Florian Hobbiger I did Map it. I can show anyone how too. Just email joe_latino@live.ca and send a message. Thank you Bojidar Kafelov. I really appreciate it. 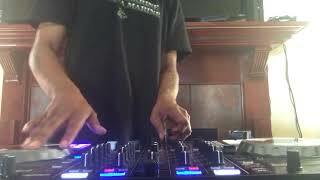 Raj Dixon - YES 👊🙏 Dj Floops - In the words of ODB - "Baby I like it raaaaaaawwww" Hah but I was going to use the audio from the mixer and put it on the video, but I could distinguish the routine without doing it so I submitted it. Thank you for the tips though. Never used a line into my cell before. 🙏 Frederick Moore - Thank you for commenting. Really appreciate it! 👊 Dj Nino Leal - Thank you a lot too! I appreciate all the comments and feedback. The community on here is sick 👊 much love from Canada. I agree with Floops. I record the audio to a different computer, than match it up with the camera audio and mute the camera audio. 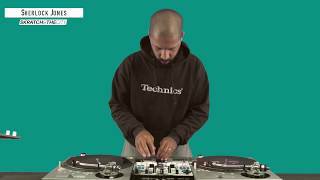 Bonus, you won't hear any fader clicks (if your hard on it) or high pitches from backspinning the needle, etc. that way. The timing is so smooth! Keep it up Joe! Thanks for all the comments guys. Much aplreciated! Just made another routine.. not sure if it will count but its pretty creative. 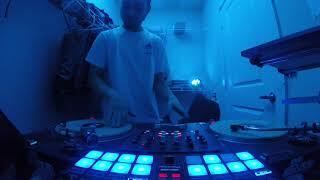 https://youtu.be/7-NK2T99zVc check out this 1 minute routine I made. Its not going to be submitted in the contest. Duplicates are not allowed. I just have to show you guys. Man, mapping the pitch to a Z2 knob is a great idea, and sounds really cool. I'm going to have to try that myself! Glad to see a fellow Canadian represent! Joe Thank you for Mapping!